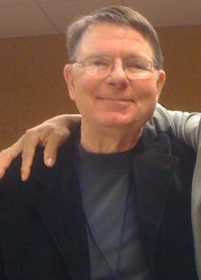 George Tiller (August 8, 1941 – May 31, 2009) was an American physician and abortion provider. He was murdered on May 31, 2009. The Kansas National Organization for Women is deeply saddened at the cowardly act of violence committed against Dr. George Tiller, a champion for women's reproductive freedom—an act that ultimately took his life. Dr. Tiller, although previously surviving many acts of terrorism and violence directed at him and his clinic, did not allow it to stop him from standing up for the rights of all women. Kansas NOW grieves not only the loss of Dr. Tiller, but also the loss that all women needing access to safe abortion have suffered due to this act of violence. I am stunned by this lawless and violent act which must be condemned and should be met with the full force of law. We join in lifting prayer that God's grace and presence rest with Dr. Tiller's family and friends. Operation Rescue has worked tirelessly on peaceful, non-violent measures to bring him to justice through the legal system, the legislative system. Mr. Tiller was an abortionist. But this wasn’t personal. We are pro life, and this act was antithetical to what we believe. Our prayers go out to his family and the thousands of people this will impact." Dr. Tiller was a fearless, passionate defender of women’s reproductive health and rights. It’s time that this nation stop demonizing these doctors, and start honoring them. George Tiller was a mass-murderer. We grieve for him that he did not have time to properly prepare his soul to face God. I am more concerned that the Obama Administration will use Tiller's killing to intimidate pro-lifers into surrendering our most effective rhetoric and actions. Abortion is still murder. And we still must call abortion by its proper name, murder." Why is Killing Abortionists Like George Tiller So Wrong?